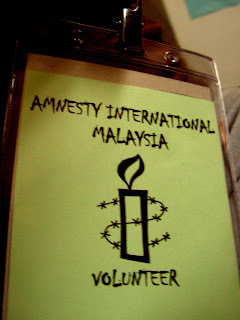 I first came to know about Amnesty International's presence in Malaysia when I came across a booth which it had put up during Sting's concert in town in early 2005 (He's an active supporter of the NGO). 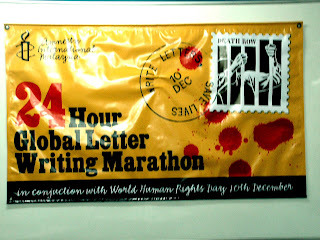 Since then I had taken part in their online activism efforts, but I had only taken a slightly bigger step in December 2005 when it had organized its 24-hour Global Letter Writing Marathon, an event that encourages anyone and everyone to write letters to the big kahunas around the world who have the power to bring justice to unsettled human rights cases. I spent a few hours writing at the headquarters in Petaling Jaya, and took a few aerogrammes back home to continue. My family, whom I have had a long history of misunderstanding with, went into hysterics when they found out what I had been up to, in fear of me serving 10 to 20 for speaking my mind (which, in the history of this annual campaign, has not and most probably will never happen). 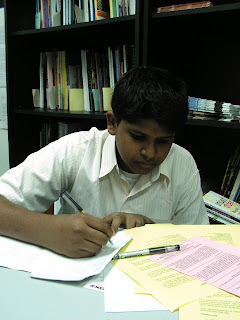 Utilising a new common sense that I had acquired in the course of 365 days, I decided to I participate in Amnesty International's 24-hour Global Letter Writing Marathon the following year and told my folks that I was out on a shopping spree instead. Amnesty provides several worldwide human rights cases, and you cover as many concerns as you can in 24 hours, with Amnesty keeping tab of the total count every hour. For those who weren't able to take part together with the local groups around the country, they were able to keep the headquarters updated with their progress from home. I offered to be a volunteer at the headquarters this time round, but there wasn't much to do since the people who came by to participate, particularly the seasoned Amnesty members, were pretty much making themselves at home. For the newbies, I ambushed them with the choice of Pringles or peanuts. I arrived a few hours after the official launch, and was told that I had just missed Asha Gill and Joanna Bessey, who came by to support the cause. 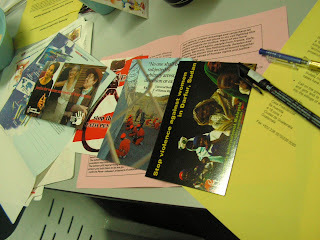 There were petition postcards which just required a signature - a lazy start, but a start all the same. There were also letter-writing guides which came in great handy to get me back into the groove of putting pen on paper. 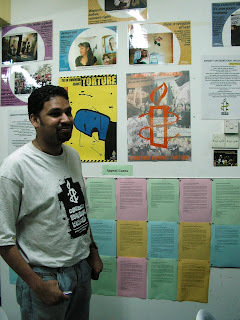 This is Josef Roy Benedict, the Executive Director of Amnesty International, Malaysia. I also had the pleasure and honor of meeting AI Malaysia's Chairperson, Andrew Aeria. Both extremely humble, hardworking and passionate individuals. This is Amos, one of the youngest participants who had left a deep impression on me during last year's marathon. He is 13 years old and writes faster than I can type, churning out letter after letter in front of me and my embarassingly rusty fingers. This year, he recognized me from S'kali. I thought that was rad. When it was time for me to leave the headquarters I was still feeling a little dissatisfied with my contribution so I decided to take the risk of repeating an old mistake and brought some aerogrammes home. 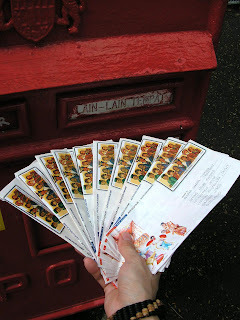 Thankfully, my mission went undetected, and scurried off to the neighborhood post box with hopes of something to come out of a here-goes-nothing. 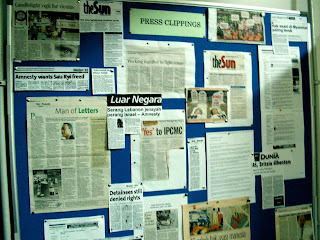 AI Malaysia aimed for 2000 letters to be written during the 2006 marathon, and its expectations were topped with 511 more in the final tally. A lot of success stories have arisen from the world expressing their concerns every year through this initiative, and some multinational companies have been really sweet in actually responding through the post - I received mail from Dow Chemical and Shell in 2005, and Microsoft last year. It's nice to know that I don't need to be hosed down by water cannons to try and make an impact. 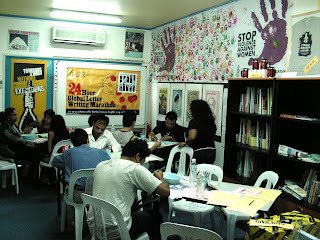 For information on how to get involved with Amnesty International Malaysia, visit their website. ^_^ words can make a difference. i completely love you for doing this. Families sometimes don’t understand when their kids do this! I am so proud of you for taking the initiative for sticking by something that you believe in. Bravo Dav! Great job girl. I know Jo and his team appreciate your help to get the writing. I missed the play but great work with the cicak lassie! until i came across the marathon, i had no idea they could! i'm glad i'm sticking by my values and beliefs too, i'd be a very unhappy person if i didn't. thanks very much for your support. The students actually sat in cages in the middle of winter all across Cambridge city with basic clothing and no food and water, in protest against the treatment of a high profile Malaysia politician under I S A. I didn't quite sit in the cage - wasn't that strong to bear the brunt of winter! Yeah I don't think many people know that it's in Malaysia, but many of my friends aren't even familiar with the name altogether! It's such a shame. Great to hear you were active in the UK though. And kudos to the students who froze their bums off in the name of human rights! 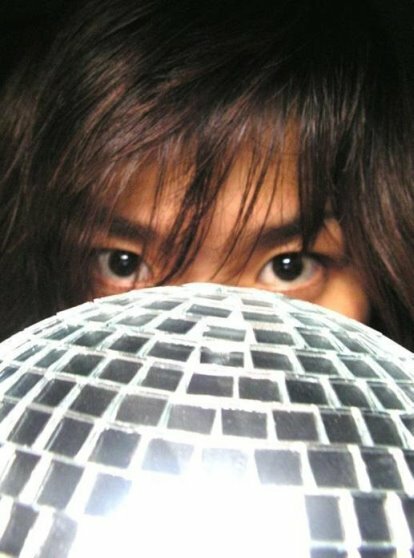 This is my bew blog.